If you thought that the Kim Richards drama ended when she exited The Real Housewives of Beverly Hills, you thought wrong. During tonight’s episode, Kim was a hot topic. Does this mean that she will eventually return to RHOBH? Two themes have taken over The Real Housewives of Beverly Hills: Yolanda Foster’s Lyme disease (or, according to a few critics, lack thereof), and Kim Richards’ issues with alcohol. Tonight, both topics were covered, but fans were particularly incensed when the ladies of Beverly Hills decided to trash Kim while Kyle was present. The latest round of Kim drama began with Lisa refusing to even refer to her by her name. Still, it was pretty clear who everybody was talking about. Unfortunately, they decided to do their trash talking while Kyle was present. Granted, Kyle has been heavily involved in her sister’s drama in the past (viewers remain split as to whether she’s been an enabler or not supportive enough), but now she claims that her relationship with Kim is on the mend. The last thing she needs is for her so-called friends to start slinging insults and bringing up old wounds. Clearly angry about the topic of discussion, Kyle decided that it was better to not be present for the bickering. Unfortunately, while she was out of the room, the others decided that it was perfectly acceptable to continue to speak ill of her sister. This lack of tact did not please viewers, many of whom spoke out about the Housewives’ rude behavior on Twitter. 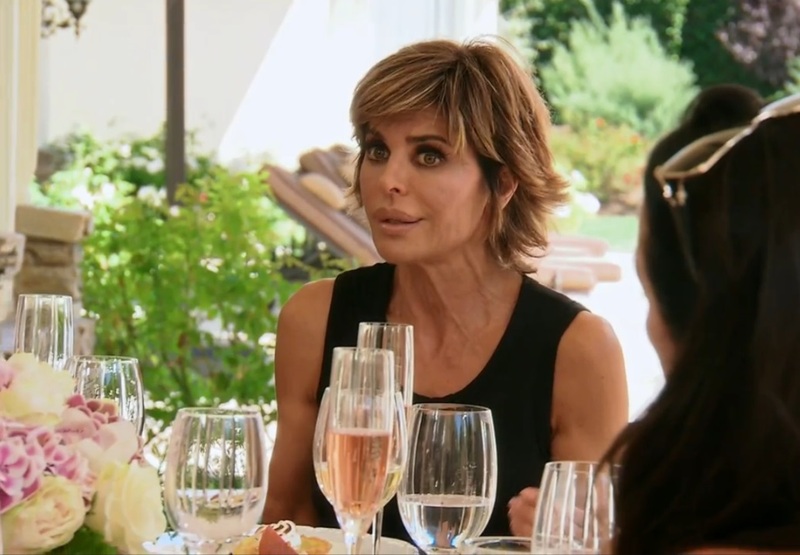 Viewers also complained about Rinna’s insistence on constantly bringing up Kim Richards. According to these annoyed Twitter users, Rinna is in desperate need of her own story line. Surprisingly enough, the latest spat about Kim Richards ended on a high note. Kathryn Edwards — who started the whole thing with a careless comment — admitted that she was concerned about Kim because her father (who committed suicide) dealt with similar problems. The ladies were eventually able to work through this particular conflict and even end what began as a drama-filled lunch with a bit of laughter. That being said, future mentions of Kim are bound to occur, whether viewers like it or not. 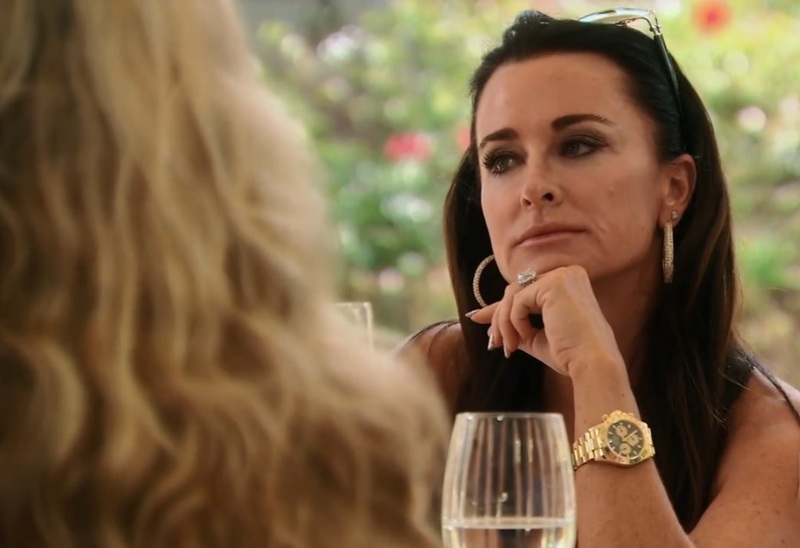 Are you sick of hearing about Kim Richards? 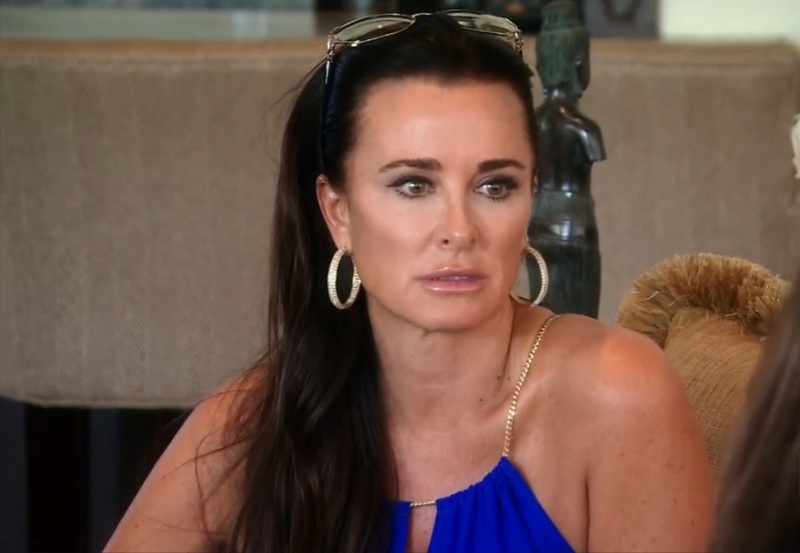 Do you think she will eventually return to The Real Housewives of Beverly Hills on a permanent basis? Comment and share your opinion below.